Groundbreaking article from Dr. Preston James at Veterans Today, discussing the emergence lately in the US Military and among officers in the Pentagon High Command of a slowly-awakening consciousness that all wars in the last century, and most poignantly, the recent wars fought by the US in Iraq, Afghanistan, and currently ongoing in Libya, Syria, and elsewhere have been contrived maneuvers by Wall Street bankers and the shadow elite/cabal running the government, to amass personal profit at the expense of enormous loss of life, limb, health, and future of millions of young Americans who have fought in the US Army, and to maintain criminal schemes of drug-running, human trafficking, pedophilia, and organ-trafficking to pad their vast empire of ill-begotten wealth; and that the War of Terror the US has been obsessed with for more than a decade now, post-9/11, was a deliberate construct, built on the horrific, constructed, false-flag event and massive crime that was 9/11. Pointed excerpts below, please click over to Veterans Today for the whole article. I especially commend Dr. James for unflinchingly covering the creation of the “domestic terrorist” in this regard, the false labeling of activists and whistleblowers as “Domestic Terrorists” and the subjecting of them to intensive surveillance, organized gangstalking, and psychotronic harassment with microwave weapons, and the rise of a ruthless and violent Secret Police in the US, covered recently here in this article probing DOJ involvement, all subjects of major concern at this site–excerpt below. I also commend the forthrightness in this article, as also many others at Veterans Today, in candidly discussing the nature of the beast we are dealing with–an extremely wealthy Mafia engaging in Nazi actions of repression and totalitarianism against the entire American population, and an organized crime syndicate involving Intel agencies such as the CIA and Mossad running “murder, drug trafficking, pedophilia, human compromise” rackets, all propelled by the practice of very dark Satanist and occult religions involving the unimaginable horrors of child and human sacrifice, including via wars–excerpt below. “The American masses as well as many Pentagon Officials are now learning how our nation’s highest echelons were infiltrated and hijacked by the Khazarian Mafia and its subordinates the Bush Crime Cabal (aka the BCC) and the Israeli-American “Israeli-first” Dual Citizen Traitors (aka the Zios). 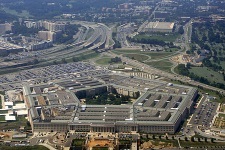 “The decision was made by the top several Policy-Makers who really control the Pentagon and the USG that the only way to continue illegal, unConstitutional, undeclared, perpetual wars was to create a new imaginary enemy that could be redefined at any time. This enemy (“The Terrorists”) must be able to be modified and expanded or refocused at any time to include any nation that they needed to destroy and gain access to their natural resources cheaply. Thus the ideas of the DVD (Fourth Reich or Abwehr) to deploy Gladio-style, False-flag, inside-job engineered synthetic terror were accepted. “And we now know for certain that every major police department has had an American Intel contact, usually CIA (sometimes other US Intel), with top secret credentials, often a NOC, that runs cover ups. The embedded Intel ops typically run cover-ups for any activities associated with the CIA, including setting up “stand-down” Arkensides (murders made to appear as suicides) to get rid of whistle-blowers and dissidents. Please visit Veterans Today for the whole, eye-opening article.